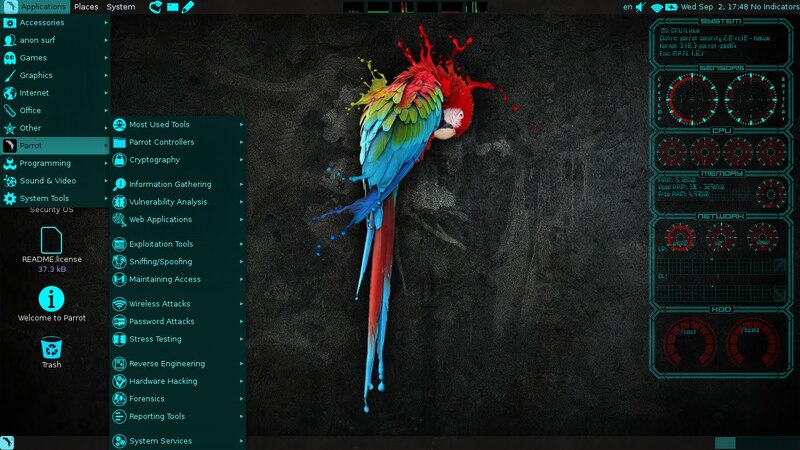 What Is Parrot OS? / Linux Parrot Os For Anonymity? Today's Article Is About Penetrating Testing Parrot OS. And For This, I Collected Data From ParrotSec Officail Site And From All Over The Internet. Ans. 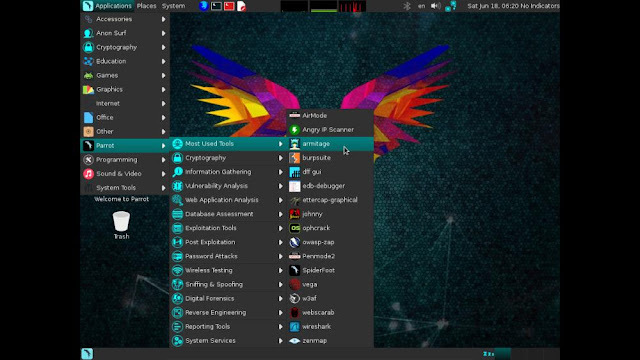 Parrot Security OS is a GNU/LINUX distribution based on Debian and also known as parrotsec. It is designed for penetration testing, ethical hacking, cyber security , Vulnerability Assessment and Mitigation, Computer Forensics and Anonymous Web Browsing. It includes a full portable laboratory for security and digital forensics experts, but it also includes all you need to develop your own softwares or protect your privacy with anonymity and crypto tools." ParrotSec is intended to provide a lightweight environment that is widely compatible. It offers many tools designed for web and computer systems analysis, including a lab dedicated to forensic digital use, with legally distributed tools and the ability to work with cryptography, offering a wide range possibilities. Additionally, it allows users to browse and work anonymously online. Parrot has developed and implemented several tricks and softwares to achieve high privacy, and AnonSurf is one of the most important examples, it is a software designed to start TOR and hijack all the internet traffic made by the system through the TOR network, we have also modified the system to make it use DNS servers different from those offered by your internet provider. Parrot also includes torbrowser, torchat and other anonymous services, like I2P, a powerful alternative to TOR. So, Don't Worry About Privacy In ParrotSec. 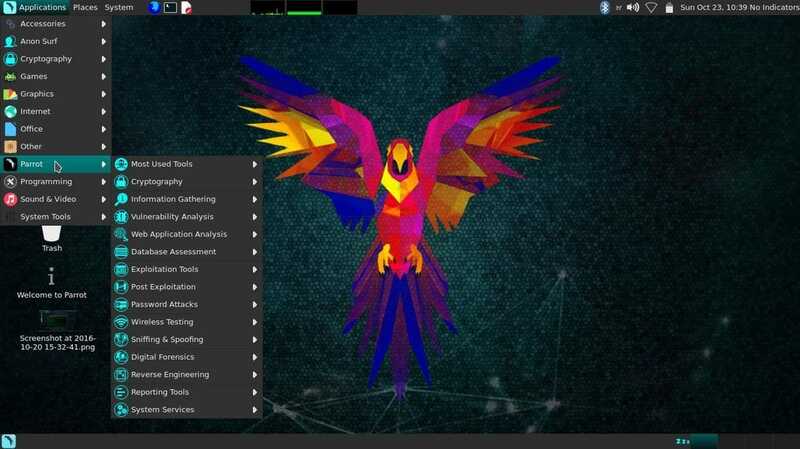 The main goal of an environment designed by hackers for hackers is the possibility to change it, adapt it, transform it and use it as a development platform to create new things, this is why Parrot comes out of the box with several tools for developers such as compilers, disassemblers, IDEs, comfortable editors and powerful frameworks. Parrot includes QTCreator as its main C, C++ and Qt framework. Another very useful tool is Geany, a lightweight and simple IDE which supports a huge amount of programming languages, while parrot also include Atom, the opensource editor of the future developed by GitHub, and many compilers and interpreters with their most important libraries are pre-installed and ready to use. And of course many other editors, development softwares and libraries are available through parrot software repository where parrot community keep all the development tools always updated to their most cutting edge but reliable version. ParrotSec Is Really Useful For Hackers, Penetrating Testers With High Anonymity / Privacy.